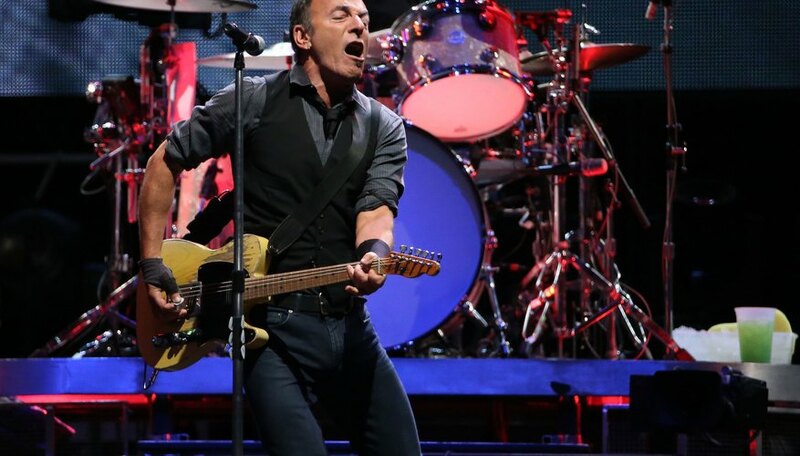 Bruce Springsteen's voice has most of the elements of we expect to hear in rock music. Gravelly, harsh and emotional, his voice is distinct and difficult to imitate. Yet with a handful of specific singing techniques, almost anyone can sound something like the famous rock legend. The first thing most people notice about Springsteen's voice is how gravelly it sounds. If your voice isn't naturally gravelly, you can achieve this sound by using a technique called "vocal fry." The easiest way to learn this technique is to try to sing the word "mum" like cartoon character Elmer Fudd. You'll need to use very little air and will mostly find this technique useful on lower notes. Springsteen often hits a note, then falls off it. For example, at the beginning of "Born to Run," he most noticeably falls off the words "day," "I" and "dream." To sing a fall, hit the note, then quickly sing a few notes down the scale. You will probably need to start with slow, deliberate falls going up and down the scale, but with practice they will become as quick as Springsteen's. Voice teachers know that a large, open mouth produces an easy, large sound, but Springsteen uses a narrow mouth when he sings. His jaw rarely flops open very far vertically. Instead, his mouth is usually a horizontal line. This makes it harder to sing notes but definitely gives a harsher, identifiable Springsteen sound. To make higher notes a bit easier when singing with a horizontal mouth, lift the corners of your mouth into a slight smile. Springsteen "sings with an emotional truth that resonates through his very being and is squeezed out in the potent, careful lyrics of his songs, so that his melancholic, introspective version of 'Racing in the Street' reduced a massive Hyde Park crowd to a state of hushed awe," music critic Neil McCormick wrote for "The Telegraph" in 2009. "The expression of inner truth is more important than the purity of the notes." You can't sound like Springsteen without feeling and acting out the emotions of the song.